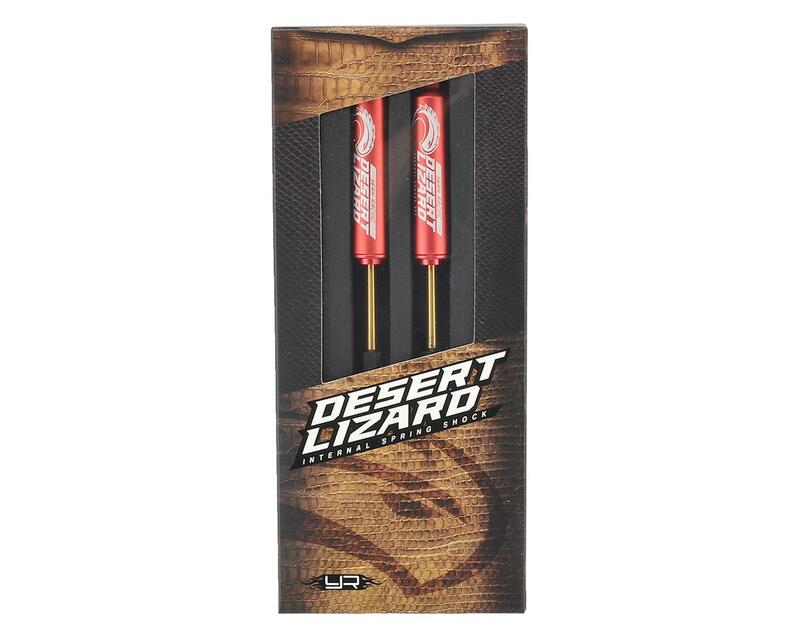 The Yeah Racing 100mm Desert Lizard Two Stage Internal Spring Shock is a great scale upgrade for your truck. 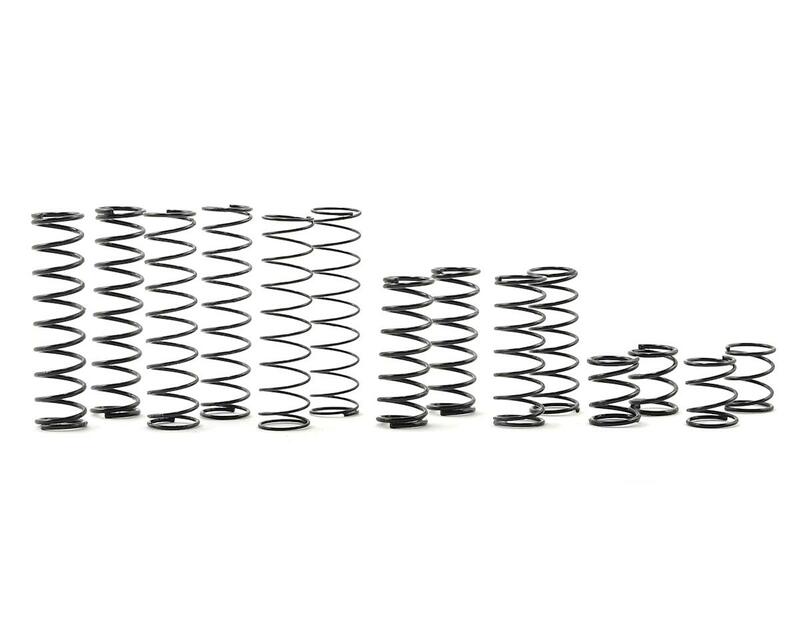 This shock kit includes a full set of springs and machined pistons that will allow you to get your truck setup right, no matter how heavy your truck is. 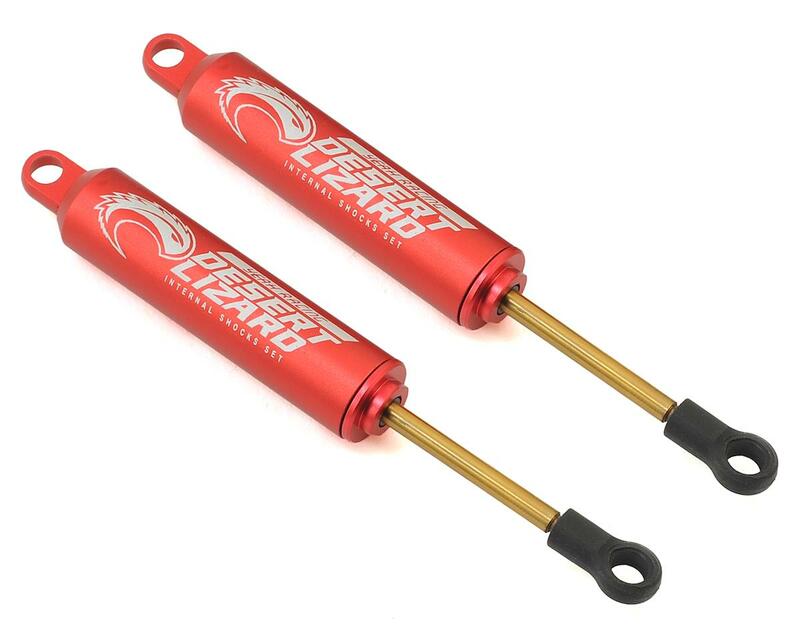 These shocks can be setup with either a droop or a sprung configuration. A sprung setup will generate more flex and more suspension travel. A droop setup will allow your truck to sit lower and will support the weight of the truck better, but will generate less flex. 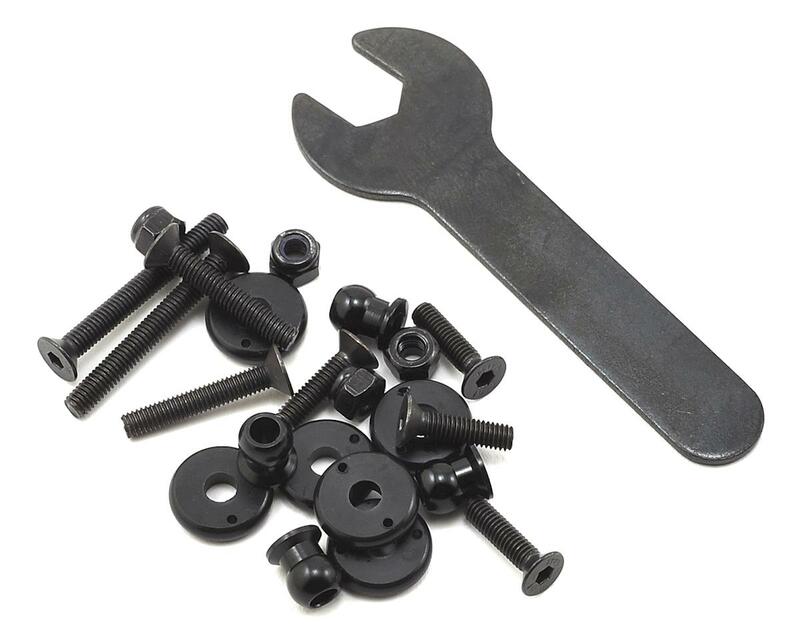 Plus, the triple O-Ring sealing cartridge will help to prevent oil leaks at the shock shaft. Fits HPI Crawler King, Gmade R1 Komodo, Vaterra Ascender, and Axial SCX10 Crawlers, as well as other similar models that use a 100mm long shock. NOTE: The pre-installed spring combo is for heavy rigs. Yeah Racing recommends experimenting with different spring combinations to find what works best with your rig weight and tire combination. I bought these for my honcho after a recommendation from a hobby town USA worker. Like the fact that they come with lot of extras for rebuiling and tuning.Heard alot of people say they leak, but I don't run much oil in mine..Read reviews saying they only run few drops of oil. Worked good for me. My only complaint is since it's internal spring, it's a slight pain to test different set ups. But for the price these are definition of bang for your buck In my humble opinion. Also I bought the shock boots for mine and it looks great!